Temperamental soloists, control freaks, hijackers and empire builders can wreck your ERP project. Tips for developing and maintaining your ERP vision. Angela Hewitt is my favorite Bach performer on the piano and I have listened to her recordings of the Well Tempered Klavier hundreds of times. I recently heard Sir Andrass Schiff’s performances of the D Minor Prelude from Book 1 and was stunned. Even though I play it, I didn’t initially recognize it. Ms. Hewitt’s performance sounds like Sauvignon Blanc and oysters by the lake on a sunny June day. Mr. Schiff’s version is more like a Côtes du Rhône with savory beef stew in December. I love them both. Both performers worked from exactly the same source code and each created a completely different product. As soloists, Mr. Schiff and Ms. Hewitt can perform these pieces anyway they desire. 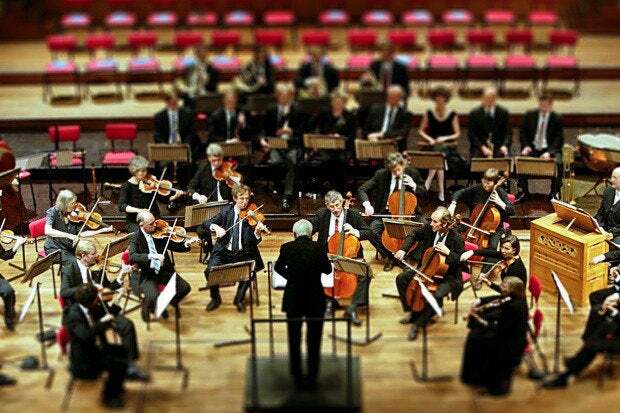 If they are performing a Brandenburg Concerto however, they have to cooperate with a conductor and orchestra. ERP’s are much the same as music. Two implementations of the same source code can produce starkly different results. The team you assemble to tackle this project will have a huge impact on the effectiveness of the final product and whether or not it is even usable. 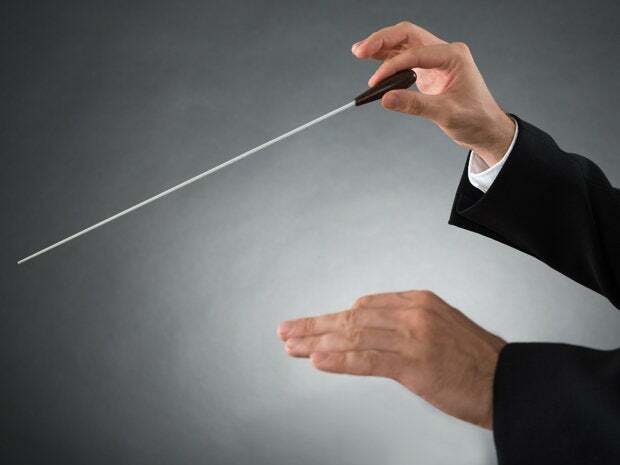 There is no place in your ERP performance for temperamental soloists. The failure rate of enterprise software projects is appalling and I have developed my own list of reasons for project failure in Introduction to Enterprise Procurement Projects. To be successful, ERP and other enterprise endeavors require a clear executive vision. For reasons that I am unable to fathom, CIO’s, CTO’s and IT Directors are often appointed to lead ERP procurement projects and the subsequent implementation. If you are fortunate enough to have a CIO who has a profound understanding of each department’s business processes and requirements, this approach may work. An ERP implementation is not a technology project. There is no such thing as a technology project; there are only business projects! Over the decades, I have seen some incredibly successful enterprise software results, but many that were completely botched because of poor management and lack of vision. What’s your vision? When clients lack a vision, I let them borrow mine and mold it to their own specifications. Depending on the case, the following might be a part of the vision: “Enable and empower departments to manage their resource more effectively by streamlining workflow and removing obstacles.” We’ll get back to this statement in a minute. There is nothing more frightening to me than a roomful of unsupervised executives making a monumental decision without input from any of the stakeholders – the people who actually perform your business processes and use the software every day. Procurement process should begin with a visioning session with all the key stakeholders, including the Martha’s or Minions. I learned about Martha’s from Barry Strock, but I call them Minions. These are the people in your organization who really know what’s going on and they may not be members of your management team. Martha’s are often hidden away in the dungeons (cubicles) of your organization but they hold the keys to your kingdom. They will have a significant impact on the success or failure of your enterprise project. These people must be identified early in the process and must be made part of your team. Do your managers have actual skills? Can they produce a payroll or an AP run themselves? Or do they just manage a gaggle of minions? I think I know the answer to this question and this is why you need the Martha’s onboard. “Jeffrey,” you exclaim. “My management team members are big-picture people.” Yeah, right. Before they became titans of industry, Bill Gates, Steve Jobs, and Warren Buffett were all brilliant detail people. They earned their seats at the big-picture table. Let’s get back to the vision statement. When I refer to removing obstacles, what I am really talking about are people. Obstacles are created by people; they don’t just happen by themselves. Many in your organization have a vested interest in the maintaining the dysfunction and will attempt to hijack processes in the workflow of your ERP. “My department absolutely must sign off on everything that goes through for Department X.” Why? And what does this have to do with streamlining and enabling? Is there some GAAP or GASB requirement? Ask to see the regulation. Otherwise, you must squash the control freaks before they destroy your project. Empire Builders have their own reasons for hijacking the workflow. Distributing the process workload in a more logical and efficient manner may make people or entire departments obsolete. Often, department heads will claim that they need more staff rather than less to support or process the work in your new system. In many cases, organizations hire an army of programmers to get the project done because it was far more complicated than they initially thought. They’ll want to keep their new staff positions forever! These are clear indications that the project has been hijacked by control freaks. When anyone presents a requirement, ask why. Include the Martha’s and Minions on the project visioning and your probability of success will increase significantly. Keep the temperamental artists in check and you’ll surely pull off a brilliant ensemble performance.